University Heights Community Association serves the community of University Heights including about 450 households in inner city Calgary, bounded by McMahon Stadium to the East, Foothills Hospital to the South, the Alberta Children's Hospital to the West, and the University of Calgary to the North. Welcome to our community web site! You can now sign up to become a member of our great community online. Online payments are coming soon along with online soccer registration. We have a lot of initiatives in the works at UHCA right now, stay tuned here for more information. Also, visit our BLOG to get updates about the community, events, and other happenings in our part of Calgary. 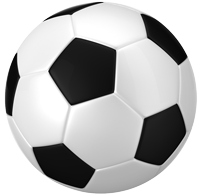 Registration Now Open - 2019 Soccer Season The 2019 UHCA Soccer season is just about upon us, time to take a break from shovelling snow and think about warm nights with the kids playing soccer. We will have online registration again this year to make the registration process easier. You will be able to register for your membership online as well as in person at the registration night at the University Elementary School. Click here for details. Welcome to the shiny new UHCA web site. We have been putting a lot of work into making the site have as much information as possible. We have also redone the design and infrastructure to make it easier to get the information to you! UHCA is looking for your best shots taken in and around our beautiful community. Don't worry if you are not professional, you don't need to be one! Prizes will be awarded to winners (tbd). On February 28, 2013, the City of Calgary commenced public consultations with University Heights (UH) residents about the creation of an Area Redevelopment Plan (ARP) for Stadium Shopping Centre (SSC), located in UH. Subsequently, City planners prepared a Traffic Impact Assessment (TIA), a Draft ARP and then a Proposed ARP for SSC redevelopment. With minor changes, the Proposed ARP was approved by the Calgary Planning Commission (CPC) on June 6, 2013. We are looking for a new logo? Want to show us what you think the logo should look like? We accept images, photos, drawings, crayon art, and even play-dough if that is your medium. Send us a picture of whatever you have to submit to the contest. We are in the process of debating with the City of Calgary a proposed redevelopment plan of Stadium Shopping Center. An overview of the issues and documents can be read here and four primary documents pertaining to the proposed redevelopment are linked here. All other documents are categorized below. We have also obtained documents from the City of Calgary under the Freedom of Information and Protection of Privacy Act (FOIP). These documents are split onto the two pages linked below. You can now join us on Facebook and follow us on Twitter to keep up to date on events and news in the University Heights Community. You can find us at UHCACalgary on both of these social media sites.